Most people have really boring shoes. Knit cowls are now a trendy item. As a New Englander who is frequently cold I fully support this trend. I will never understand Ugg boots or wearing leggings as pants, but cowls I support. There is a practicality about them that I like. Cowls are another defensive line in the fight against winter chills. They are also less likely than a scarf to get stuck in train or bus door. 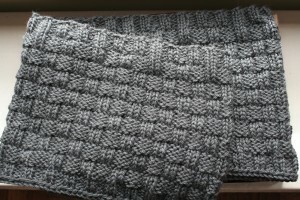 So I picked out some nice gray yarn and a simple pattern and made a cowl. The pattern was really easy to make and I am very happy with my finished product. However, it is not a flattering look for me. When I tried it on and looked at myself in the mirror it made me think about what a sea cucumber would look like if sea cucumbers wore cowls. It reminded me of all the reasons I try to avoid fashion trends. I am going to have to give this project to one of my more fashionable friends. Yarn is Cascade Cash Vero DK (55% Merino, 33% Microfiber Acrylic, 12% Cashmere). 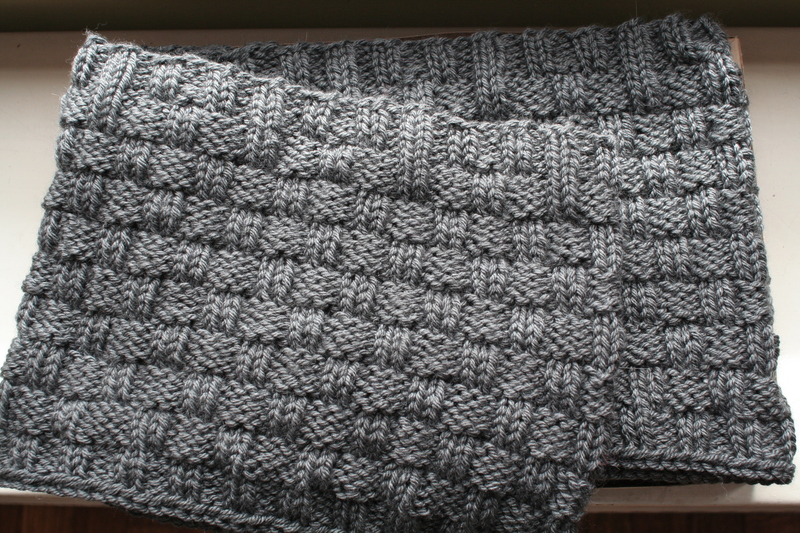 Pattern is Double Basketweave Cowl by Karen Templar. This entry was posted in Uncategorized and tagged cowl, Finished Object on March 3, 2013 by Captian.